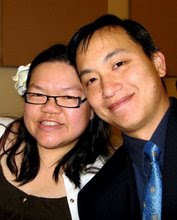 One of our commenters, Melissa, guessed correctly that it was mee sua inside the mystery box. Mee sua (also spelled mee suah or misua) is a dried wheat flour noodle, thinner than angel hair pasta. Also known as “long life noodle”, it is a favorite among the Chinese from the Foochow / Fuzhou community who serve it as a must-eat food at Chinese New Year, on birthdays, and other special occasions. Most mee sua is made in factories nowadays. But some places with large Foochow populations like Sarikei and Sibu in Sarawak, and Sitiawan in Perak, Peninsular Malaysia still have people keeping the tradition of hand-pulling these noodles. I once saw an episode of “Taste with Jason” on the Asian Food Channel where he visits one such person making mee sua by hand in Klang. It made me want to visit a hand-pulled mee sua maker and see it for myself. We had been getting mee sua from Sarikei through our friend who came from there and often receives care packages sent from her hometown. When the opportunity came for us to journey to Sarikei with them, I asked if they could arrange for us to go see the mee sua maker there. She said she’d call and try to make the arrangements. The second day we were in Sarikei, it was raining and they weren’t making any noodles that day. But on the third day, they said we could come over. So we hopped in our cars and off we went. Soon we found ourselves pulling up to an end terrace house, where the drying frames for the noodles were set up in the front and side yards facing Jalan Century. I was rather surprised that this place was located just a few minutes’ drive from our lodging, and only a block away from the Kim Hing Bakery on Jalan Hua Tai 1. I had imagined that the house would be farther out from town for some reason. We alighted, and the mee sua maker, Mr. Lau, invited us inside his modest home. The home smelled sweetly of dough. In the cool back kitchen, he showed us a long, wooden box, filled with ropes of dough hanging suspended between two wooden dowels. Each pair of dowels had about 1 to 1.5 kg of dough wrapped around them. He explained that the dough had to be pre-stretched like this until the lower dowel reached the bottom of the box (I’d estimate slightly less than a meter deep). Mr. Lau’s noodles weren’t ready to be hung just yet, but his relatives across the street were already out pulling their mee sua in the sun. He brought us over to their yard to witness them pulling the noodles. Long, wooden frames were set out in the stony yard, each beam dotted with holes spaced out at regular intervals. The dowels are inserted into the holes, and the noodles are stretched between the dowels like wispy streamers. Everywhere you looked, lines and lines of white mee sua noodles were draped, hanging in the bright sunlight. I couldn’t have been more happy at this point, as I immediately went to work snapping picture after picture. It was a foodie photographer’s dream! The man showed us how the hanging and stretching was done. First, he brought out five dowels’ worth of dough ropes and hitched them up into the upper beam. Once they were secured, he carefully gathered the bottom dowels in his fingers and slowly drew the noodles toward him. He took a few steps backward, raising the dowels over his head. Then with a great heave, he whipped his arms forward and down, creating a wave that traveled up the strings back to the end with a snap. The noodles magically lengthened! He took a couple of steps forward, then repeated the steps, pulling back further each time. When he got near the end, he secured the dowels into the beam. Then, his partner came to manually separate each “sheet” of noodles, to keep the mee sua from tangling and sticking to each other. He continued to snap and stretch more noodles. I didn’t measure, but I would say the noodles were stretched out to between 3-4 meters long. They would leave the mee sua to dry on the racks, and then wind the semi-dry noodles into small bundles to dry some more (see second picture above). At the end of the day, the bundles would be gathered and packaged for sale. This method of hand-pulling mee sua isn’t easy, of course. It starts with watching the weather reports to see if it’s going to rain the next day. If it rains, no mee sua. In order to maximize the time in the sun, the dough has to be started very early in the morning. Like, 2 or 3 AM. The dough is kneaded by hand, rolled into ropes by hand, and wound around the dowels by hand. Then of course comes the pulling. I didn’t actually get to try my own hand at pulling, but I can imagine that doing this work, in the hot sun for hours on end wouldn’t be pleasant for a wimp like me who’s accustomed to air-conditioned office work. You have to have a passion for it. The sun was finally peeking over into Mr. Lau’s side yard, so he had begun hanging and pulling his own noodles there. As I watched, I could not help but notice his skill at mee sua pulling. He had an extra snap in his wrists, and an extra lean in his pull. It’s almost as if he was doing tai chi. Here’s a video I took of them both. Can you see the difference in pulling styles? Mee Sua making is only a part-time business for Mr. Lau, as he has a weekday job as a civil servant. He only makes noodles on weekends and public holidays, weather permitting. He always has orders for mee sua, and he always sells out. Since he hadn’t made any noodles the previous day due to the rain, we couldn’t take any home with us that day. But we did manage to pick up a couple of kg of mee sua to take home with us the next day. At 15 ringgit per kg, that’s quite a high price for pasta. But when you consider the amount of labor, skill, and love that went into the mee sua, and when you can taste the very clear difference in quality between factory-made and hand-made, then you’d say it was worth every penny. I am extremely grateful to our hosts for arranging this visit, and to Mr. Lau for letting us inconvenience them while they worked. I lament that this tradition and craft of hand pulling mee sua could die out with Mr. Lau’s generation, if his children decide not to carry it on. It would be really sad to see this art fade out of existence. I look forward to using this mee sua in the coming months, perhaps to make fried mee sua like we had at New Fortune Restaurant, but definitely to make some Foochow Red Wine Mee Sua with Chicken which we will blog about soon. 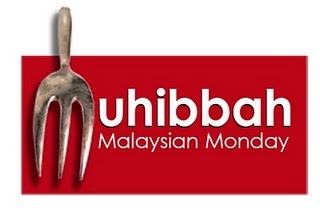 I am entering this post in the Muhibbah Malaysian Monday roundup, created by Sharon and Suresh, and hosted this month by Shannon. I love eating mee sua, and it was eye-opening to see how it’s actually made. These noodles sure are a labor of love, and I also hope that this art doesn’t disappear with Mr. Lau’s generation. This really makes me appreciate noodles even more! Thank you for taking and sharing these pictures and video! yes, you have to appreciate the people who make your food, especially if they’re artisans. Wow!!! so much work and process just for noodles. Thank God for these guys who make mee sua possible and delicious! I love mee sua. Here in Manila we. Make small meatballs and putti in mee sua soup. It tends to break up so it needs to be with liquid. Our mee sua is not that long, tho. Wow, I didn’t know how labor-intensive Misua (as we call it here in the Philippines) making is! Great post! Absolutely beautiful. I’ve seen some handmade noodle making in Japan and I feel the same appreciation for mee sua. Even though machinery is common for everything these days, I do hope that this tradition will last forever. Never heard of this, but only the Asians could create such a meticulous food item by hand. wow the meesua is so beautiful! not easy to make such delicate noodles. I think the process is amazing. I’m learning so much from reading your blog. but it is indeed an interesting process! Good coverage! thanks. Yes anything handmade outdoors is going to be exposed to the elements. Good thing the noodles are boiled before eating! Fascinating! And I love how weather plays a role. Thank you for sharing. Machine made Mee sua is just not the same. It’s hard to find good mee sua in KL so as a result I’d always have it whenever I get a chance to go back to Sarawak. I live in San Francisco, and they serve mee sua at many of the best restaurants downtown here in Chinatown. It’s a very salty dish, but I absolutely love it. At RM15 per kg for the mee sua is really not that expensive at all, considering all the work that’ve been put in and the best thing of all, it’s handmade. Must taste better eh? haha! p/s I just spend the whole day yesterday going through all of the contents in your blog (I’m not a creeps.lol) and I love it! You’re officially one of my fav blog to read. Beautiful pics – like a delicate dance! I’m ready for a bowl of mee sua now. I can’t eat them due to gluten allergy, but the process is simply amazing. Great pictures! Its an eye opener for me. I never thought that mee sua is not easy to make. Thanks for sharing. It is amazing!! Wondering if you know this mee sua is available in kuching? as far as I know, they only sell in Sarikei. SWIFT Theme by Satish Gandham. 59 queries in 1.060 seconds.